NEMASKA, Eeyou Istchee (November 7, 2018) The Cree Nation Government is saddened by the loss of former Premier Bernard Landry. The province, as well as the Cree Nation, has lost a man of great vision and conviction. Over the years,, the Cree Nation and Mr. Landry forged a relationship transcending different cultures and languages. Their shared vision was of a Nation-to-Nation relationship between the Cree and Québec based on principles of mutual respect and collaboration for the benefit of both nations. With his unswerving belief in these principles, Mr. Landry showed true leadership in showing the way to a new and positive relationship between Québec and Indigenous peoples. 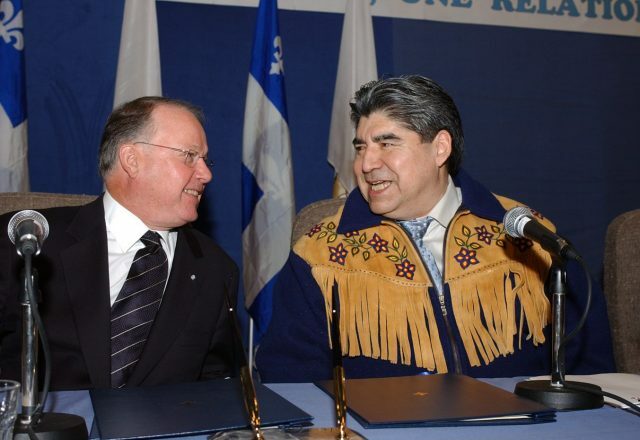 Beyond this new relationship with Québec, the Cree Nation is thankful for the one it kept with Mr. Landry. Our deepest sympathies and condolences to Mr. Landry’s wife, Madame Chantal Renaud, his children, and family, as well as his many friends from every corner of Québec. We have all lost a friend. Farewell, Mr. Landry. A rest well-deserved for a truly brave man who served his people and his nation well.